Who isn't looking for ways to be happy or how to be happier? We're all searching for the elusive keys to true and lasting happiness - it's probably the main driving motivational force behind most everything we do. The fact that being happy is all the rage these days, isn't necessarily all positive though. Finding happiness in life is best put into perspective. We need to be wise in finding our own ways to be happy. Is there a formula to happiness? Is the pathway to happiness always paved with good intentions? Following are some thoughts on happiness and two main ways to be happy in life. "The foolish seek happiness in the distance, the wise grow it under their feet." While there may be many roads to finding happiness in life there are only two main highways. One highway to being happier is to proactively reduce your needs. The other is to accept a need and to relish and enjoy its pursuit. If you're on the highway of 'reducing your needs', you'll derive satisfaction from needing little where you once needed much. You'll become happier and happier in proportion to your dwindling needs. If you're on the highway of 'enjoying the pursuit of your needs', you'll derive satisfaction from knowing that you're on the path to fulfilling a meaningful and soul-felt goal. You'll become happier as you conquer milestone after milestone as you make your way. Of these two main highways to happiness which is the more reliable path? Which highway leads to finding true inner happiness in life? What about traveling down both highways at once? What would that look like? Stopping to consider for a moment how much unhappiness comes from lamenting unmet needs, the benefits to reducing needs appear obvious. The more needs you have, the longer the road to fulfilling those needs right? By reducing needs, you shorten the road to fulfillment. In modern days and times it shouldn't be hard to find some inflated needs we may aim to reduce. Most all of us have grown very far indeed from the lean, mean 'fighting' machines that were our predecessors from times long gone. We may do well to question some of the 'needs' we have come to deem as necessities. What of the needs you have a hard time setting aside, try as you may? How much unhappiness is generated by the struggle to release a need that just keeps on persisting? Encountering such needs, wouldn't it be wise to consider dropping the attempt to let go and simply jumping onto the other highway to fulfill it? Where does happiness lay in wait? Say you've decided to accept a particular need, one you had a hard time letting go of. You've decided it's meaningful enough to pursue for the satisfaction and fulfillment it brings. You embark on one of two possible ways to be happy! The path or highway you're now on starts placing demands on you. It starts asking you to stretch, to risk and to grow immensely as you travel towards the fulfilling your goal and unmet need. Adventure, challenge and change are in store. So where's the pitfall you may ask? What happens if you fail? What happens if you travel down this new highway, yet fail to fulfill your desired need, goal or purpose? Will you be able to accept such a fate? Will you feel you've spent your time, energy and resources in vein? Will you look back on your fateful decision to jump highways as a mistake? Will you wonder if it might have just been better to let go of this need, aim or goal in the first place? Wouldn't it have saved you a lot of effort, time and heart-ache? Surely, no one is immune to failure. Without the option to fail - how sweet, exciting or fulfilling would success ever be? And what would failure mean to you? That's what needs to be closely examined. What would you be willing to call a failure? Does a failure to meet a goal or need also spell failure in the larger context of your life? Is the fear of failure something that should stop you? Is there a way to travel towards the fulfillment of your aim, goal or purpose without having to worry so much about failure? What about trying to incorporate both highways into your journey? How would that look like? What benefits and pitfalls would ensue from straddling both ways to be happy - reducing needs and abandoning ourselves to the pursuit of our goals? Incorporating Both Ways to Be Happy? Both highways to happiness are as their name suggests - high ways to be happy. Each road has its pitfalls and advantages. What if your efforts on one highway served to propel you forward on the other highway and vise versa? 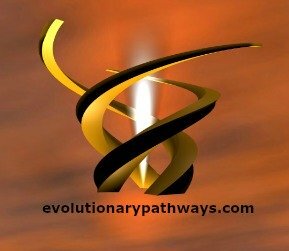 What if combining both pathways provided a natural synergy that sent you on an upward evolutionary spiral of personal growth, achievement and fulfillment? Could combining both high ways to happiness provide an ultimate pathway to follow? You have just set out on the road to fulfilling your burning desire and already challenges and obstacles are coming your way. Climbing over, under or going around the obstacles you encounter requires a nimbleness you may have never needed before. You quickly come to realize that you may have been packing a little too heavy for this journey. The understanding dawns that if you're to give yourself any chance at success, you're going to need to get rid of some baggage. You'll need to lose some weight; you'll want to travel light. Following down the highway in hot pursuit of your desire, goal or dream you come to identify needs that may be weighing you down. You see how some needs weigh heavy. You know that something has to be done if you're to build and maintain the strength, energy and resources to continue in hot pursuit. You skip over to the other highway to weed your need. You aim to shed extra weight - you aim to enlighten yourself by lightening your load. You aim to become a lean, mean 'fighting' machine in the name of your goals. Without less to clutter the horizon, your perspective broadens and your positive outlook improves. Cutting down on your needs, you feel your energies mount. You are primed and eager to jump back onto the other highway, raring to go! And so an upward spiral is created - an evolutionary pathway unfolds.